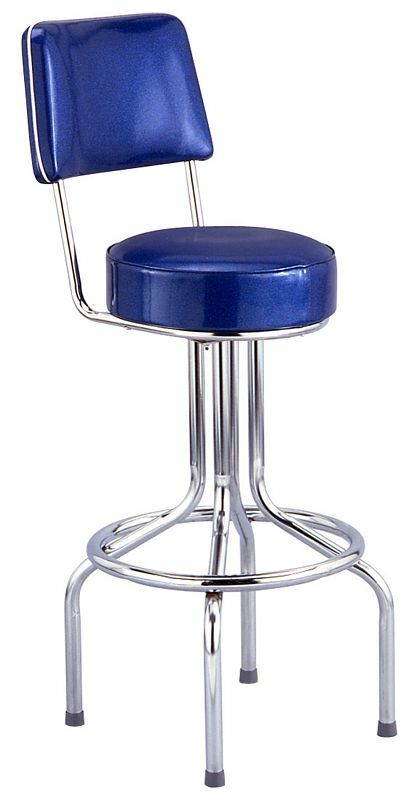 This is a traditional 360 degree swivel bar stool with a back. This stool uses our long neck 18 gauge steel frame. This bar stool is built for both durability and comfort. This commercial bar stool is a great way to dress up any bar, lounge, or counter service operation. This bar stool is manufactured in the USA. Dims: 16" x 16" x 41"